Weather: Incredibly changeable. Millpond and warm sun on departure. 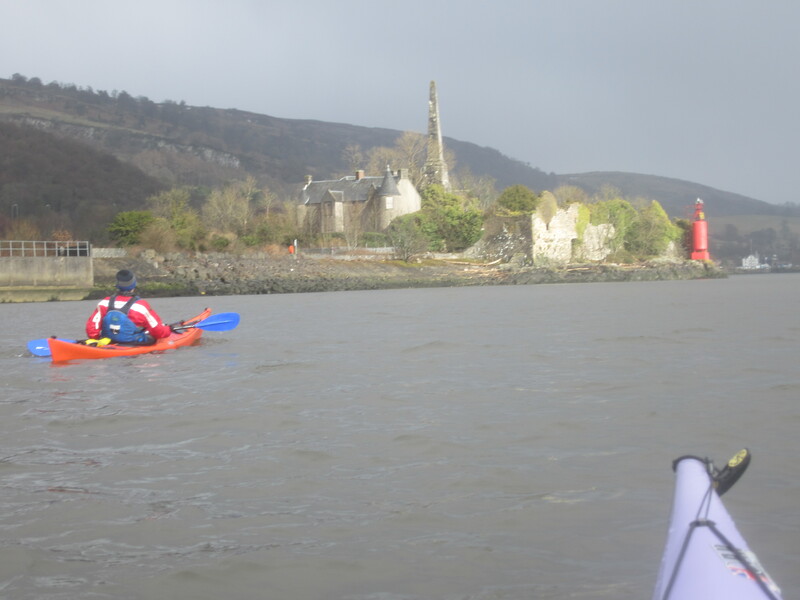 Strong (F4) wind, cold and hailstones. Then sun again. 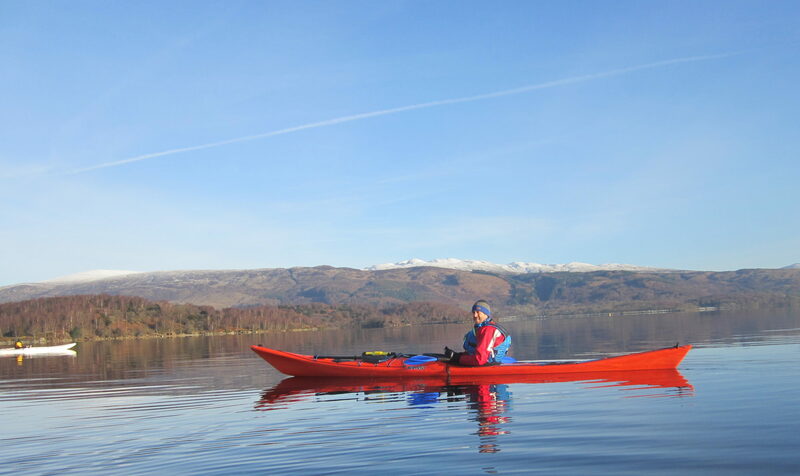 This was a successful club trip about ten years ago and again proved ideal as a last minute, end of winter, paddle. 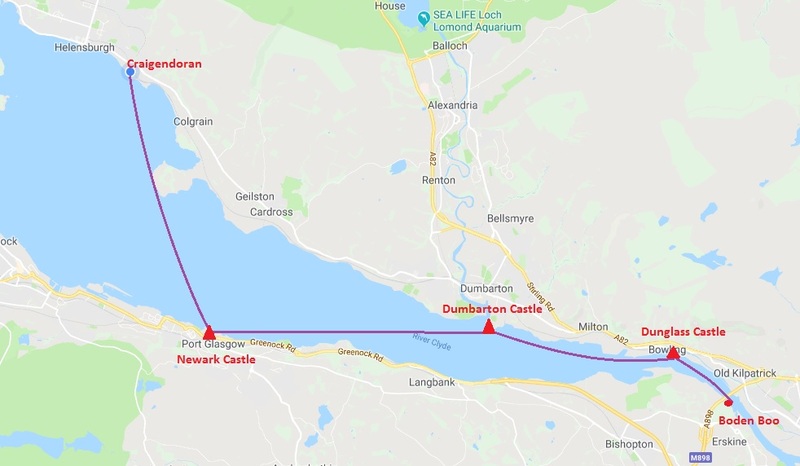 The route includes three castles on the Upper Clyde, one very well known, one just known and one unknown. We set off in beautiful weather in a flat calm at low tide at just after 10.30. This meant we were on the incoming tide and were expecting a light breeze behind us later in the day. The crossing to Ardmore seemed long (it is!) 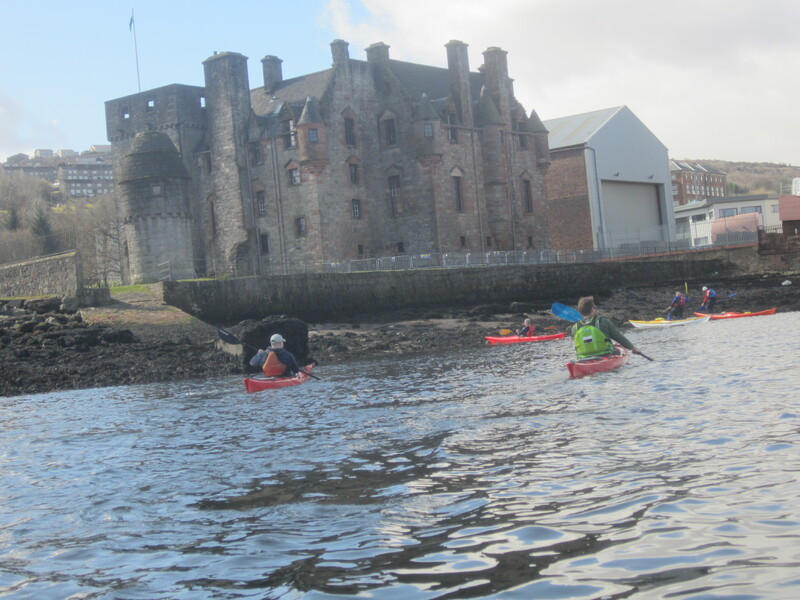 and then on across the Clyde to Newark Castle (built 1458: see https://en.wikipedia.org/wiki/Newark_Castle,_Port_Glasgow ) . This section of the journey took around 1hr 20 mins. 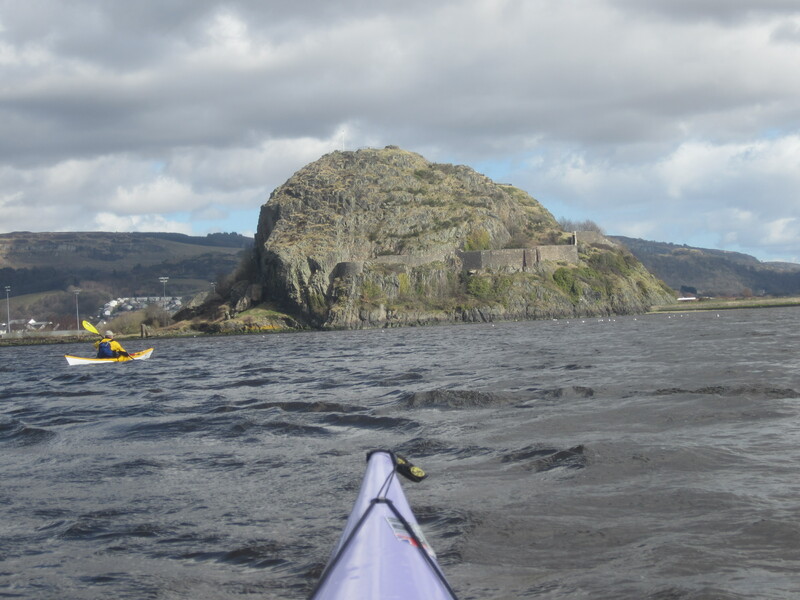 After a much deserved coffee break and quick scan of the outside of the castle (it was closed ) we headed off towards the huge rock on which stands Dumbarton Castle (originally built possibly 570AD see https://en.wikipedia.org/wiki/Dumbarton_Castle ). By now the breeze was getting up so our stay at the small beach by the castle entrance was relatively short. The next section could not have been more different from the first. The breeze had turned into a wind and the whole area was shallow causing a lot of turbulence which was completely new (and a bit disturbing) to some of our paddlers. To others the chance to surf downwind was taken. The shore between Dumbarton and Bowling is a sad example of environmental damage and waste. With massive potential the land is unfit for use because of pollution from the oil storage. 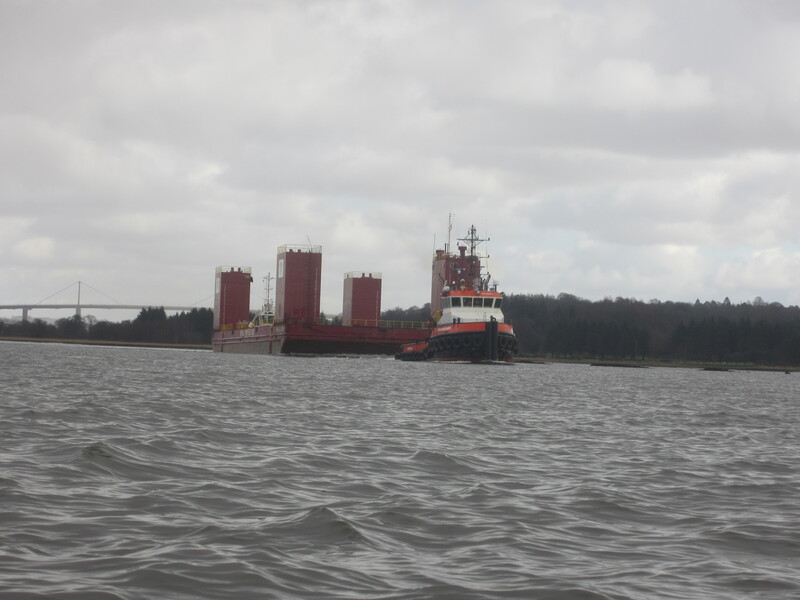 As we were passing the desolate jetties a huge barge with tugs front and back passed us heading for Rotterdam. Dunglass Castle is isolated on a rock promontory in the middle of the desolation and is now surrounded by security fencing fit for a nuclear base. 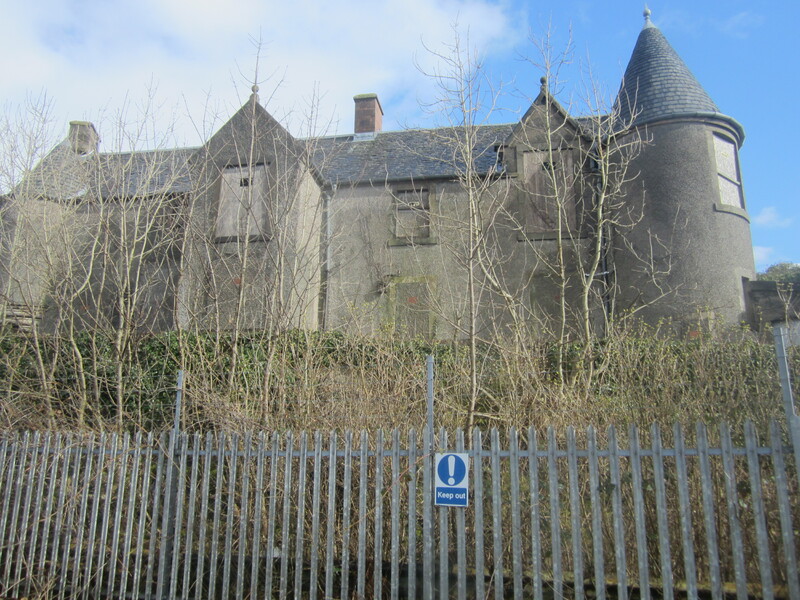 The ruined sea facing walls date from 1380 (see https://en.wikipedia.org/wiki/Dunglass_Castle ) with the rear walls being incorporated in the mansion built around 1800. 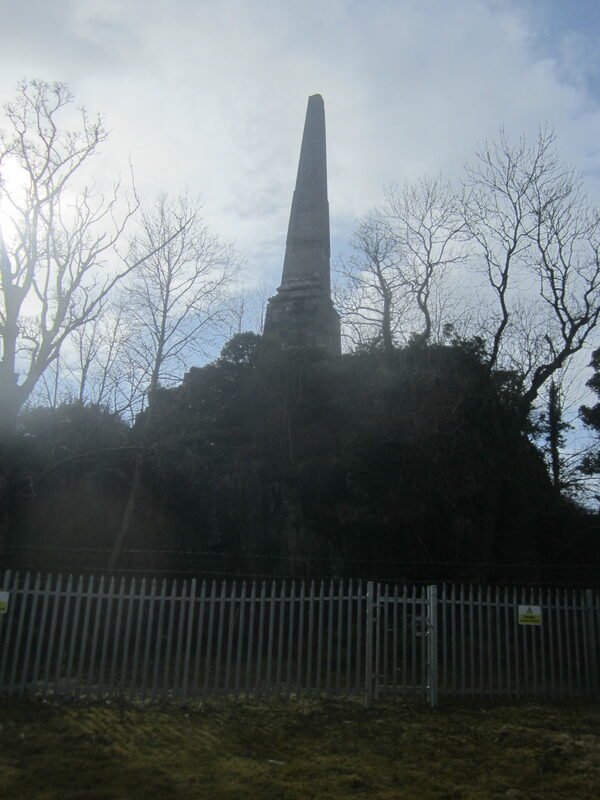 In the middle of the castle is a huge monument to Henry Bell of Helensburgh fame. Sadly, this time we could not get in to see it. From Dunglass we continued east past the old Bowling shipyards, which once built fibre-glass minesweepers, to the Bowling Basin. 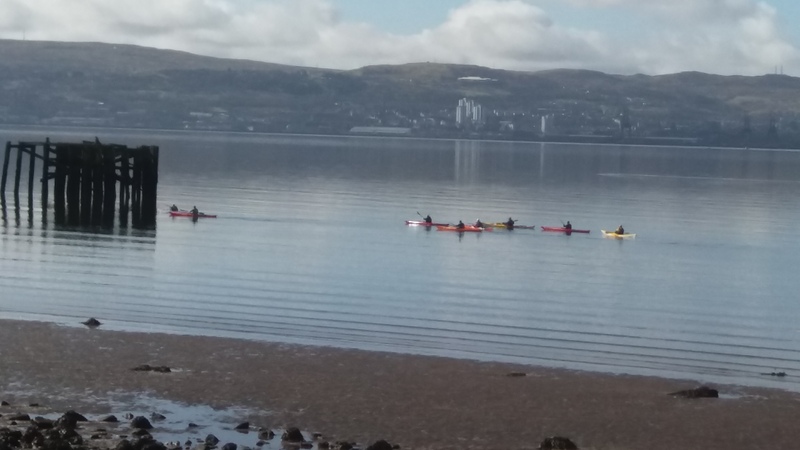 As anybody who has travelled on the train to Glasgow will know the Basin is a graveyard with the bones of ancient barges and ships semi-submerged in the mud. It remains a mystery why nobody has moved in, cleaned the basin and turned the whole area into an expensive marina. 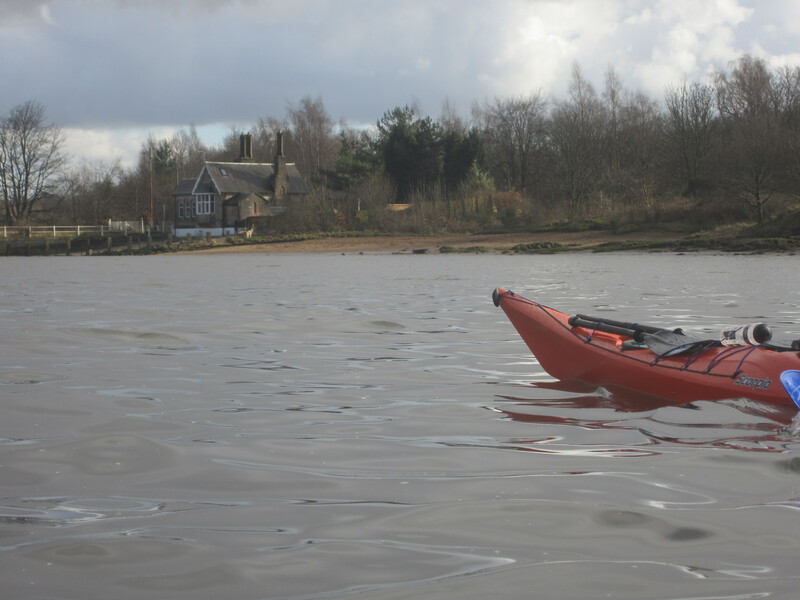 The final paddle was under the Erskine Bridge to the lovely little beach by the Boden Boo Car Park where the cars were waiting for us. An excellent end to an excellent day covering the 24km in just over 5 hours .